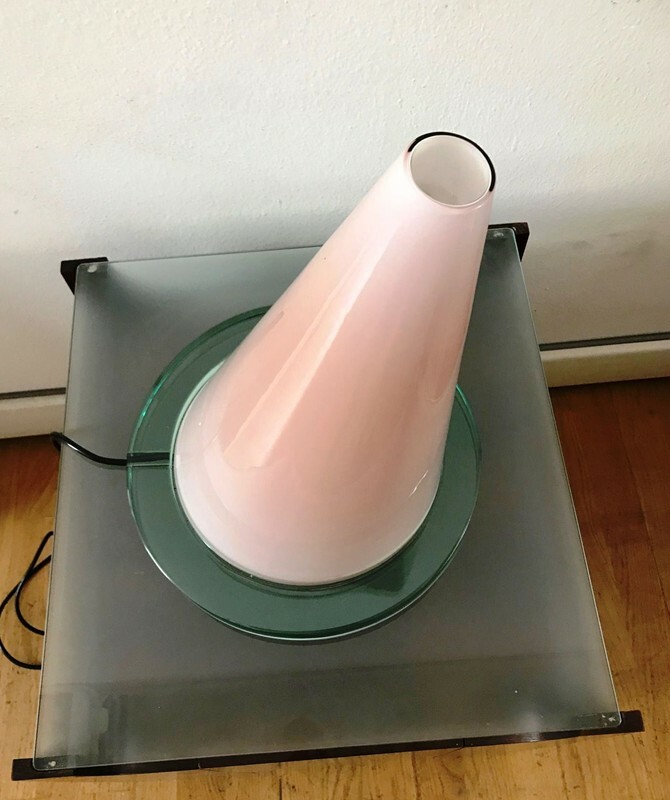 This 'OZ' table lamp was designed by Daniela Puppa & Franco Raggi for Fontana Arte in 1981 and made in Milan, Italy. 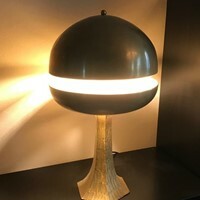 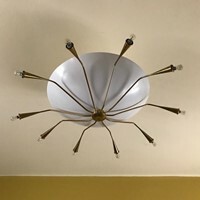 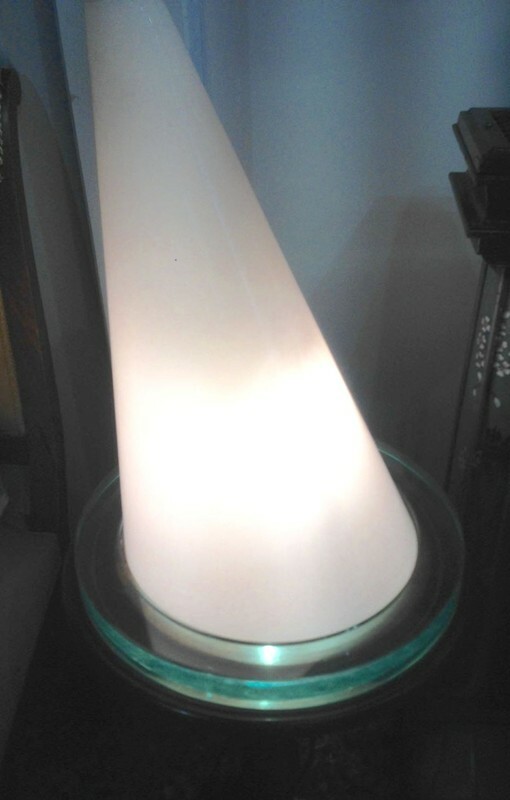 It has a large circular clear heavy glass base on which the bulb housing and stem rests. 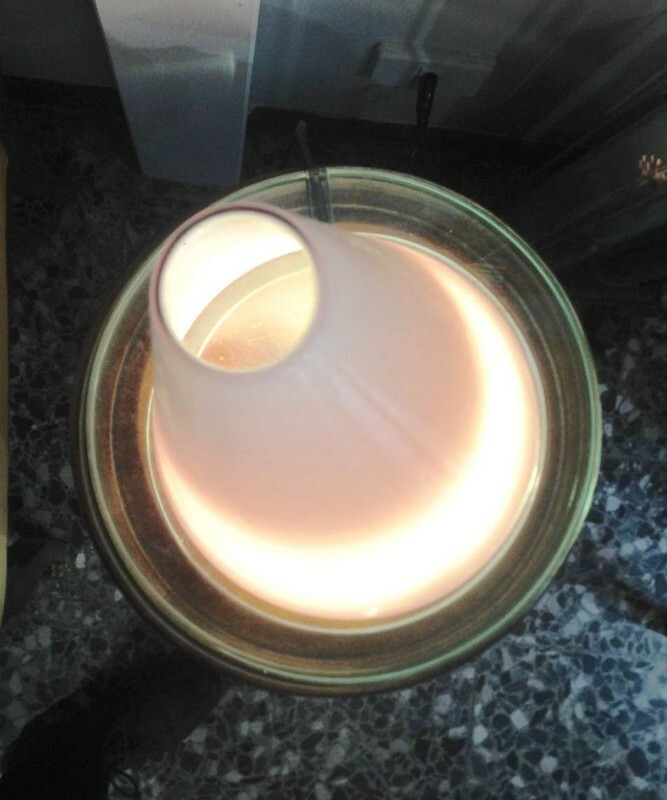 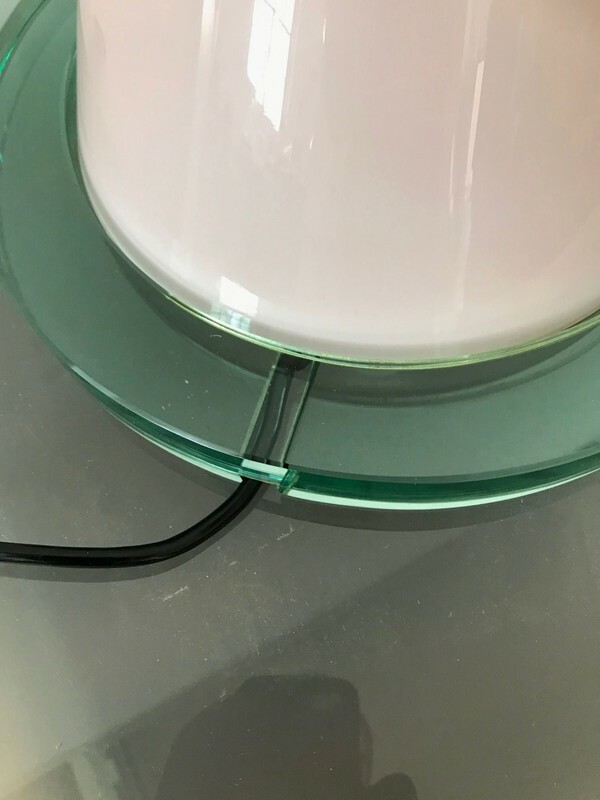 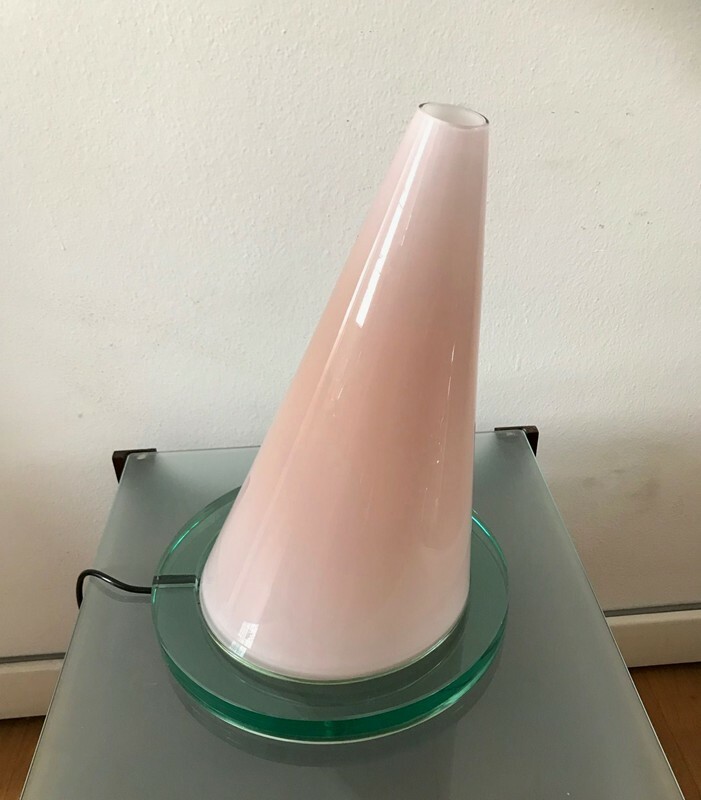 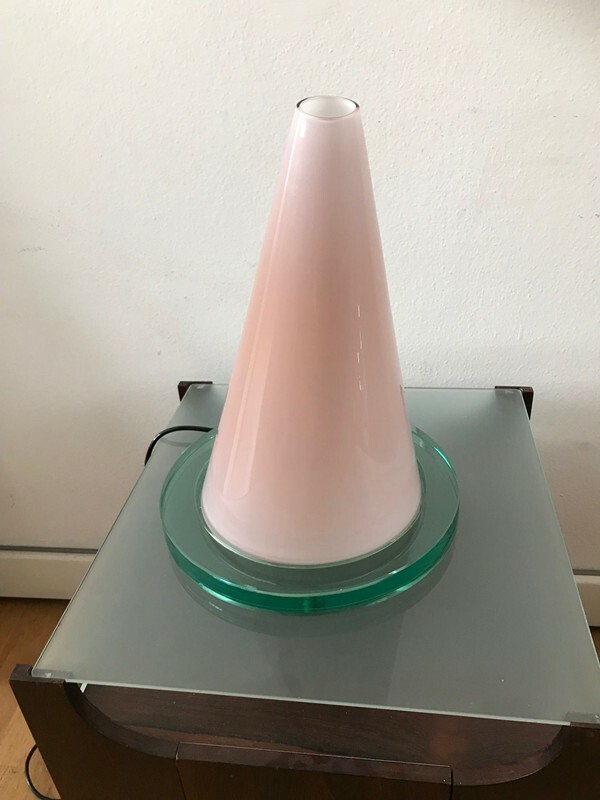 A glass conical shade sits on this base and has an inner skin of white ( incamiciato glass) and an outer of pink-white colored glass. 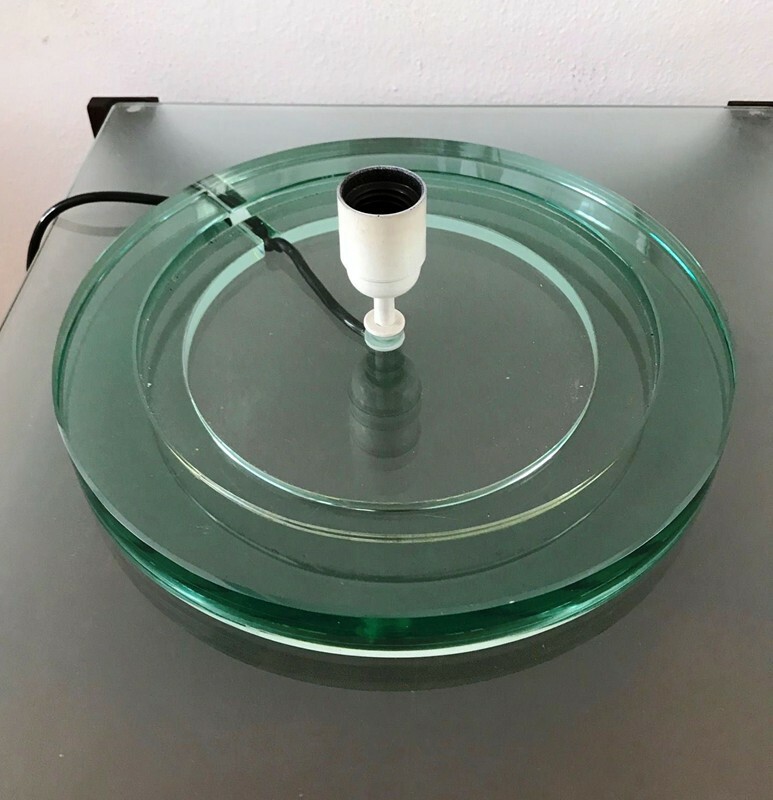 Dimensions are : Cm 41 H. by cm 30 Diam.